A few months back, I got a scanner from my uncle. 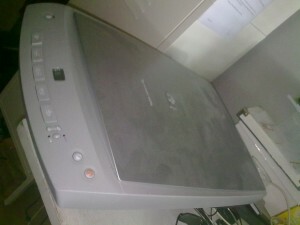 It’s an ‘old’ HP scanjet 4470c. 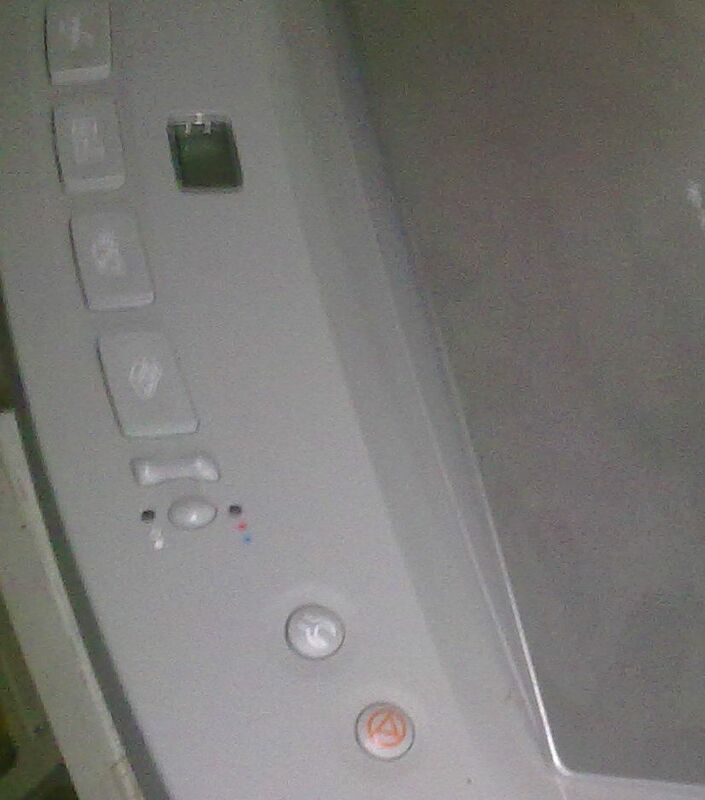 I’m using the 64 bits version of Windows 8; and there are no drivers for my little scanner. So I came up with an idea. I used my VirtualBox Windows XP (x86) installation, and installed the drivers on there. I shared the device with my VirtualBox, which did not work at first. It seems that VirtualBox does not completely work yet with my USB 3.0 ports. So I used my other ports, and the sharing went perfect. Click to zoom – Can you read the text? The standard software was pretty good, simple, but outdated. Look at the dust! At least it has AF. The VirtualBox was obviously pretty easy to set up. Installed Windows, shared a folder and the USB device, and actually, all is set-up. This method should work with 90% of all hardware that works with Windows XP, inside the VirtualBox. 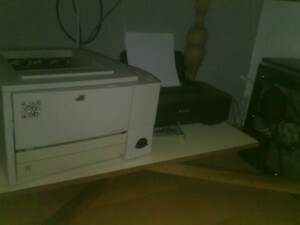 Well, this is a new add-on for my 2 printers, one LaserJet from HP, and a Canon PIXMA printer, seen below. But these are still supported by the software! My current hardware is all donated by people who couldn’t get the drivers to work, didn’t need it, or simply because it was broken and they simply said: “Well, if you repair it, keep it.”. Thanks to all who donated me this stuff, I use it all the time. But well, I’m a geek, so nothing less to expect!